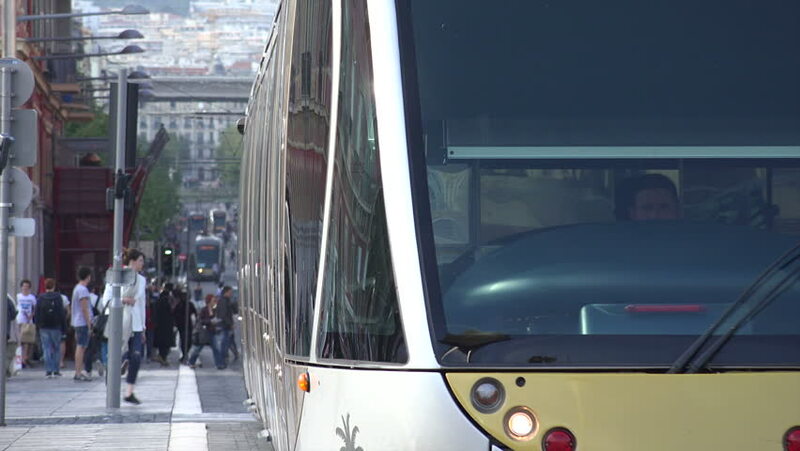 NICE, ALPS MARITIMES/FRANCE - APRIL 29, 2015: Close up of tram as it passes Place Massena. The tramway system opened in 2007.
hd00:20HONG KONG - MAY 4, 2017: Point of view of a tram car driving through the Wanchai district in Hong Kong island. The tramway is a popular transport and tourist attraction in the China SAR. 4k00:10Young serious man sitting in the car on a parking place. Male behind the wheel of a car drive away.